I want to fish for a specific species. Is that possible? Of course, but success is sometimes dependent upon the time of year, location, and water conditions. Capt. Alvin will make every effort to fulfill your request. 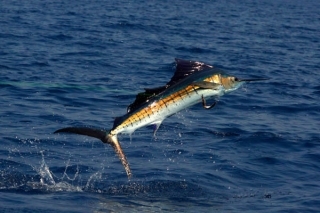 What kind of fishing tackle is supplied on the trip? Can I bring my own rod and reel? You can certainly fish with your own gear, or use it in combination with our own supplied tackle. All ice, bait and tackle are included with your trip. Do I need a fishing license in St. Thomas? Can I get my fish mounted? Is there a “No Fish – No Pay” policy? What time do charters leave? Can they leave earlier? Is it possible to extend our fishing time during the trip? What if the extra people in my party don’t fish, do they still have to pay or can more than six people come if they are not fishing? Can we keep our catch and will Capt. Alvin clean our fish for us? Will there be a mate on the boat?